Cal Poly mathematics professor Stan Yoshinobu. One Cal Poly professor is dedicated to innovating the way classrooms operate, and his efforts have not gone unnoticed. 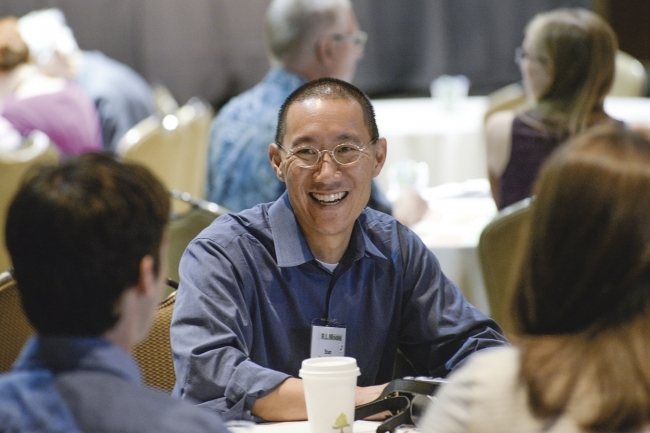 Mathematics Professor Stan Yoshinobu was just named as one of ten Teaching Innovators by the Chronicle of Higher Education, a print and digital news organization for universities. The Chronicle was impressed by his efforts to change the way math is taught to students. Yoshinobu is a proponent of inquiry-based learning (IBL), a technique that embodies Cal Poly’s “Learn By Doing” philosophy by letting students discover and solve mathematical concepts on their own instead of memorizing information. IBL has been shown to reduce student anxiety in the classroom and close the gender gap between men and women in mathematics courses by normalizing failure. Yoshinobu is passionate about creating professional development opportunities for math professors nationwide so that they can learn the technique. He and his collaborators received a generous grant from the National Science Foundation to facilitate new IBL workshops and development opportunities across the country. Mike Ion was one of Stan Yoshinobu’s students and grew to appreciate the IBL style of learning. “It was kind of like Stan was our coach and we were all working on a team together,” Ion said. Ion got his undergraduate degree in mathematics and is now pursuing a Ph.D. in math education at the University of Michigan, Ann Arbor. He is currently working on a project that is investigating how IBL is used in college classrooms. Ion’s first experience with IBL was during his sophomore year in a methods of proof class with Yoshinobu. By day two, Yoshinobu didn’t stand up at the whiteboard at the front of the classroom, Ion said. Students were expected to sign up to tackle certain problems and figure them out together. “It’s not a passive process. It requires being fully engaged. You’re going to learn an incredible amount. You’re going to get to to discover the mathematics more than a typical class,” Ion said.